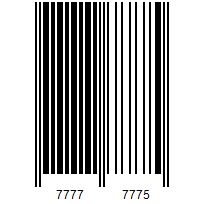 EAN-8 is a numeric linear barcode symbology with a fixed length of 8 digits. RasterEdge .NET DocImage Barcode Add-on component enables Visual C# developers to create EAN-8 barcode image with best quality. All the EAN-8 barcodes generated with this .NET barcode control are compatible with the latest GS1 General Specification, with the last checksum digit character automatically added. There are only two project requirements: .NET Framework 2.0 or later version, and Microsoft Visual Studio 2005 or above. Besides this C# barcoding guide, we also provide VB.NET Codabar solution for VB.NET programmers. Here is the detailed Codabar Generation in Visual Basic.NET Tutorial. You can easily generator EAN-8 barcode and save it to image files/object using this C#.NET barcode generator control. The following steps will show how to create a EAN-8 type barcode encoding numeric data text "123456789" into the image object with XImage.Barcode.Creator. Please copy the sample code as follow to generator a EAN-8 barcode. Here is a C# example for developers to write and embed an EAN-8 barcode on a png image from the local disk C, with the detailed location specified by users with the X and Y coordinates. Besides the PNG image format, other supported common image formats are JPEG, BMP and GIF. Use following C# code to generate EAN-8 on defined page area of a PDF, multi-page TIFF, Microsoft Office Word (.docx), Excel(.xlsx) or PowerPoint(.pptx) document. RasterEdge supports EAN-8 barcode generation and customization on image and document in Visual C#.NET application.